Here's a preview about two novels by Linda published through Garden Gate Farm. Both offer the reader adventerous tales set in the recent or not-so-recent past. Order on Amazon.com and enjoy! Little Turtle Island - newly published! Learn more at the Garden Gate Farm Facebook page. Order your PAPERBACK or KINDLE copy at Amazon.com. 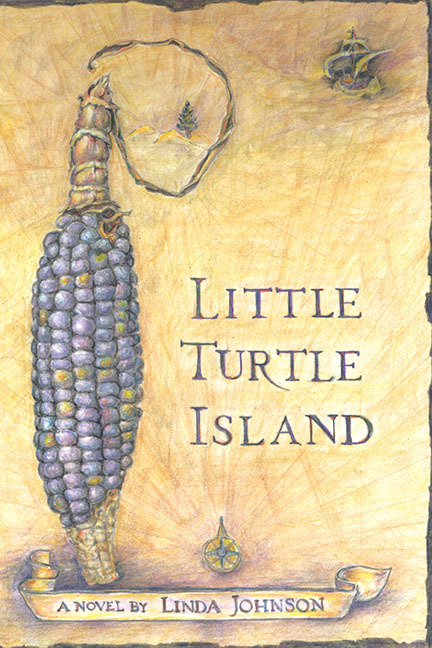 Little Turtle Island is a story set in the early sixteenth century, where the lives of an Onondaga girl and a Welsh peasant boy, outliers among their own people, become inexplicably intertwined. Nushèmakw was born and raised in a small Onondaga village in the center of Haudenosaunee (Iroquois) Longhouse territory. She’s a gifted girl with a stubborn conscience that is constantly getting her into trouble. When she disrupts the proceedings at the Grand Council Meeting of Five Nations, she is sent away to live with her Lenapé father among the Unami People Down the River. There, she comes of age and undergoes a rite of passage. In the process, she encounters heartache and despair so devastating that she retreats to Little Turtle Island for a year of solitude. On the other side of the ocean, a Welsh boy, Owen ap Madoc, tends the flocks at Bentley Manor, a sprawling estate situated along the coast of England’s Môr Hafren. He wins the favor of his Lord and Lady, and they send him to Greyfriar to apprentice as a scribe. His talent is soon recognized, and he is sent to Oxford to help translate manuscripts. Events quickly turn cataclysmic when King Henry VIII passes the Treason Act of 1534. Owen flees Oxford for Bristol, where he escapes on a ship that sets sail the next morning. Soon thereafter, the worlds of Nushèmakw and Owen converge on Little Turtle Island. Stranded together, they are forced to make sense of each other’s strange and complicated lives. As they struggle to explain who they are, they begin to realize the infinite magnitude of their existence. 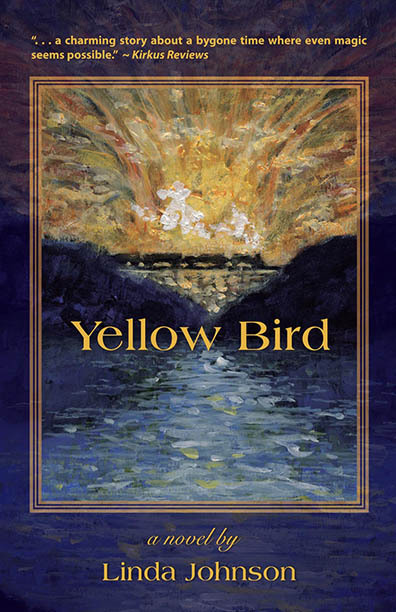 Shortly after a head injury leaves her struggling with debilitating nightmares, defiant 17-year-old Amanda Abernathy moves to the Yellow Bird, the rundown bookstore and farm she inherits from her overbearing grandmother. Cody Stone, after a brief stint in the army, returns stateside with acute combat stress. Broken and lost, he wanders from the foothills of his mountain home to the hollows along the Chalahume River. Inexplicably, their paths begin to intertwine as they struggle to find their place among the eccentric people of Appalachia's South Mountain, where music, friendship, and hardship bind them to century-old traditions. With the increasing neglect and gross mismanagement of the coal mines upriver, Amanda, Cody, and the people they come to love, find themselves on the brink of a disaster beyond anything they could ever imagine. If you would like to order more than three books at a reduced rate, please contact us at info@gardengatefarm.com.